Moleskine's celebrates one of the greatest rock bands of all time, The Rolling Stones, with a new collection of Limited Edition notebooks. 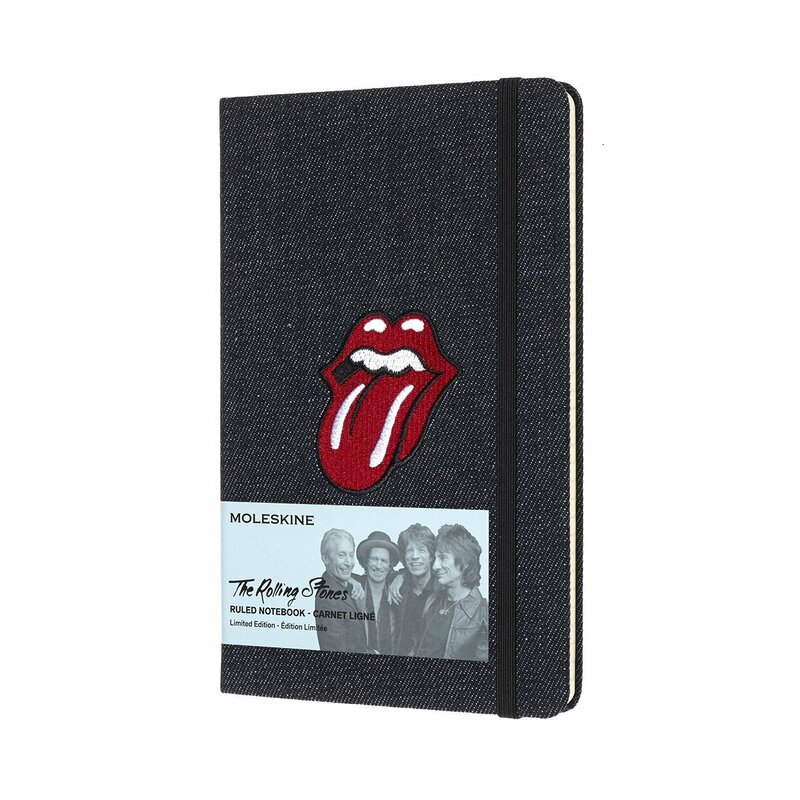 A creative journey through the looks and fabrics that shaped the history of rock and roll, these notebooks feature four different types of cover material: denim, velvet, silk and PU leather, all with the iconic 'Tongue and Lip' logo. Each notebook is large (21 x 13 cm) with a hard cover, rounded corners, ruled pages, ribbon bookmark, elastic closure and an expandable inner pocket. They also feature themed endpapers and come with a sheet of themed stickers.